Goldfinch, Andheri East, Mumbai has an elegant 3,000 sq. ft. banquet hall - Silver Bills, that can host a large wedding or reception. The pillared space has understated décor in earthy tones and can be decorated to suit a wedding or a conference. 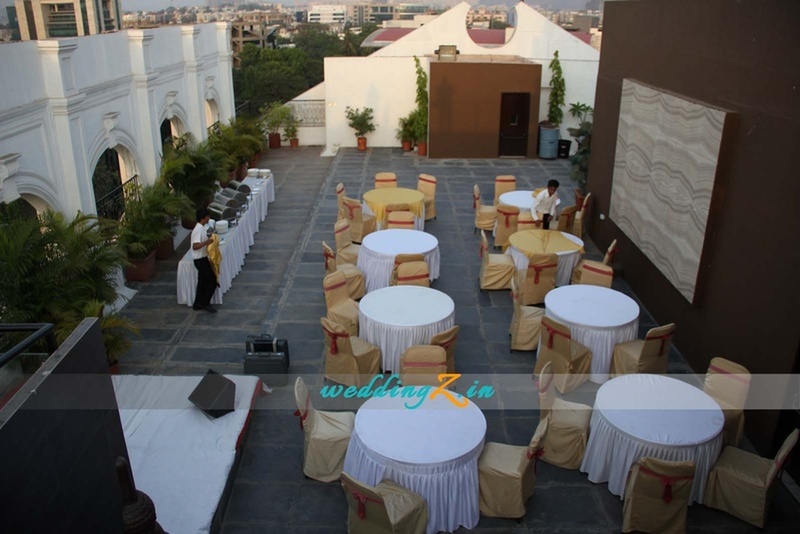 Planning to have your wedding reception at the same venue? Consider the gorgeous terrace on the 8th floor of the 4-star hotel. It has an upper and lower deck, a sparkling pool and a lush garden area. The rooftop at Goldfinch Mumbai is just as good for a cocktail party at sunset. 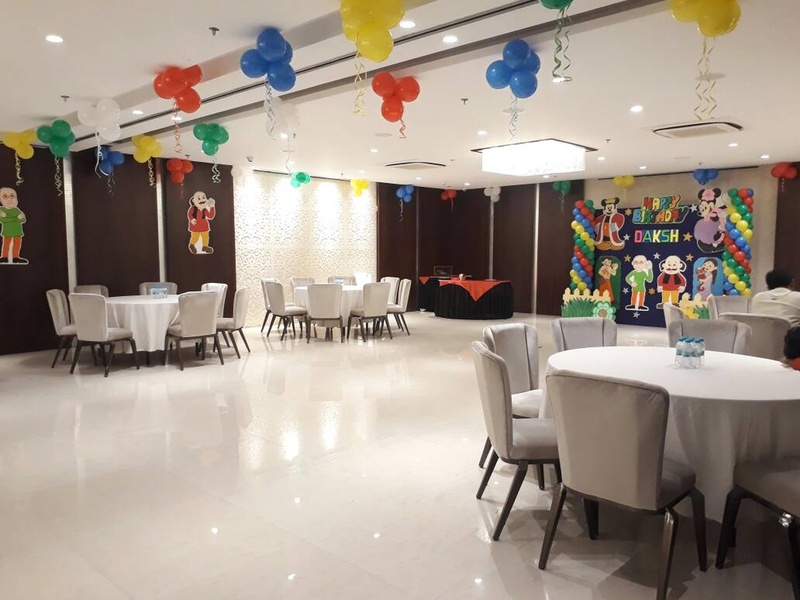 You need not worry about your guests who come a long way to attend your pre-wedding and wedding functions as Goldfinch Hotel, Andheri East, Mumbai offers a comfortable stay for the outstation guests. 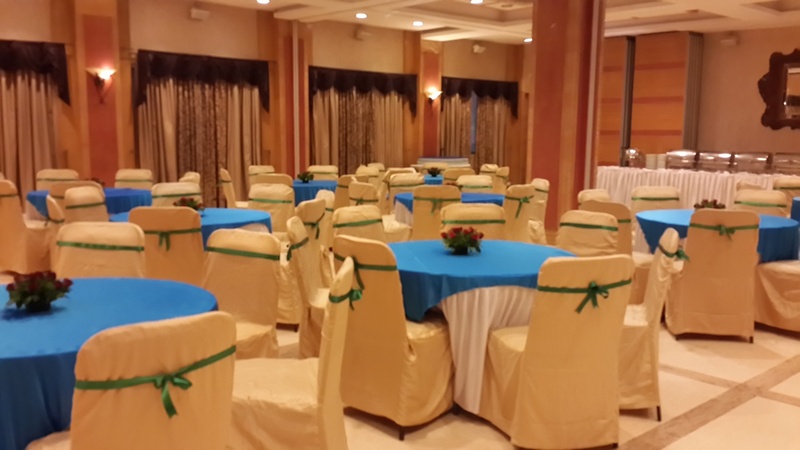 Goldfinch Hotel, Andheri has multiple party areas allowing you to have different functions at the same venue. Goldfinch, Andheri East, Mumbai offers complimentary changing rooms for the bride and the groom on their special day. Goldfinch Andheri has a well-stocked bar which serves alcohol and also allows you to get it from outside to please your guests. The venue allows you to get your own decorator on your big day to decorate the venue as per your choice. The Goldfinch located in Andheri East, Mumbai has Cocktail Venues, Banquet Halls and Terrace Banquet Halls. Senate can accommodate upto 100 guests in seating and 150 guests in floating. Rooftop + Poolside can accommodate upto 130 guests in seating and 200 guests in floating. Silver Bills can accommodate upto 300 guests in seating and 450 guests in floating. Vegetarian and Non Vegetarian food is served at this venue. Features of this wedding venues are : Food provided by the venue , Non-Veg allowed at the venue , Alcohol allowed at the venue , Outside alcohol allowed at the venue , Music allowed late , Halls are air Conditioned , Ample parking , Baarat allowed , Hawan allowed , Overnight wedding allowed , Decor provided by the venue , Packages starts at Rs 1300 per plate for vegetarian menu and at Rs 1400 for non veg menu. Decoration starts at Rs 25000.